With some simple black markings that mimic the architecture of the gallery walls and windows, artist Regina Silveira makes visitors feel as if they’re walking on air. 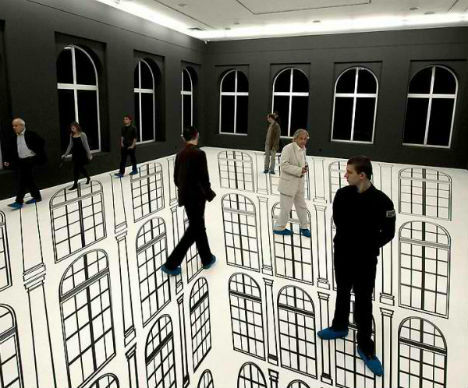 In an installation called ‘Depth’ at the Atlas Sztuki Gallery in Lodz, Poland, Silveira applied a large-format, digitally generated image to the flat floor surface to make it seem as if the room extended four stories below onlookers’ feet. 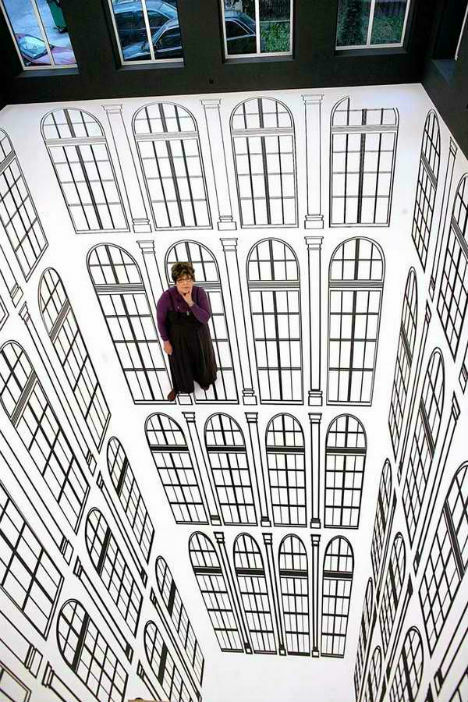 Silveira plays with light, shadow and perspective to create the optical illusions that make up the bulk of her oeuvre. 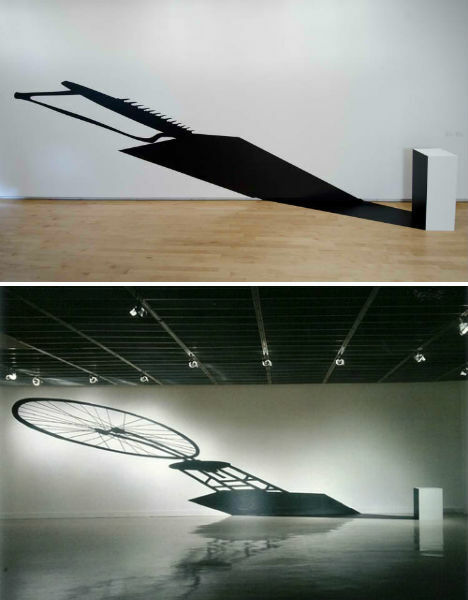 Currently showing at the Aldrich Contemporary Art Museum in Ridgefield, Connecticut is an installation called In Absentia, which gives empty pedestals exaggerated shadows that depict art objects that aren’t actually present. 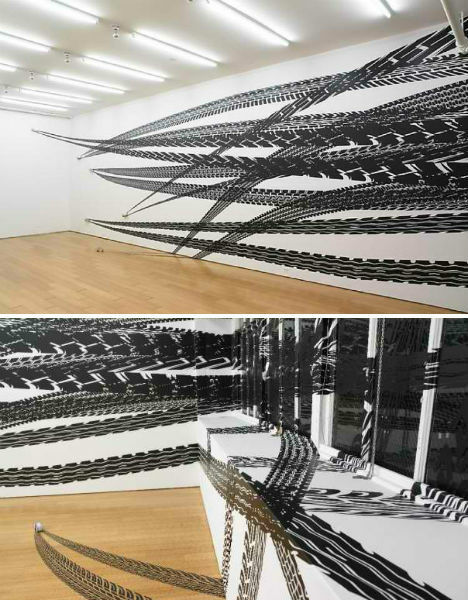 In Octopus (Track Series), a 2009 installation at Alexander Gray Associates, Silveira applied cut black adhesive vinyl tracks in overlapping patterns on the gallery walls. The tracks taper from those of a full-sized vehicle into the half-inch or so width of the wheels of a toy car, making it seem as if the cars are actually zooming away on a curved surface.